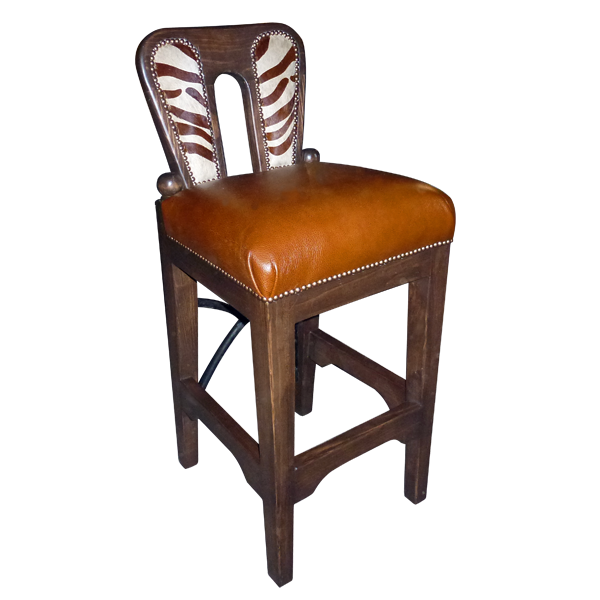 With its contemporary look this creative stationary handcrafted bar stool has great color and texture and will enhance any space. It is versatile and can also be used as an interesting side chair. 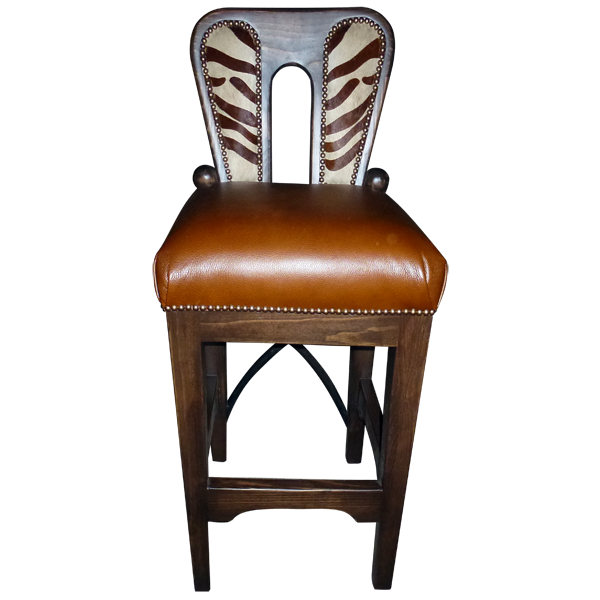 The inside seat back is upholstered in genuine cowhide with an exotic zebra pattern and with an arched cut-out in the center of the seat back. The reverse seat back is beautifully finished in brown stain. The seat is upholstered with brilliant natural full grain leather. The upholstery is precision hand tacked to the entire wood frame by our skilled craftsmen. 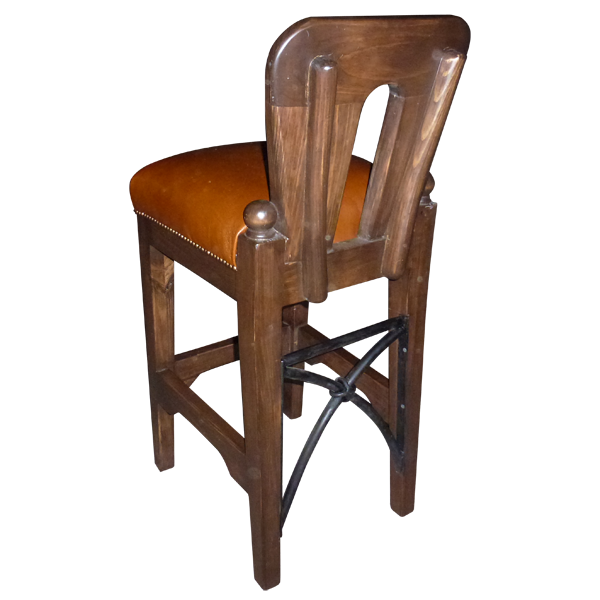 The bar stool rest on straight solid wood legs joined by a curved cut footrest box stretcher. The legs are further supported with decorative hand forged iron joining the two back legs. Both durable and beautiful, this custom bar stool is made with the best wood available. It is 100% customizable.